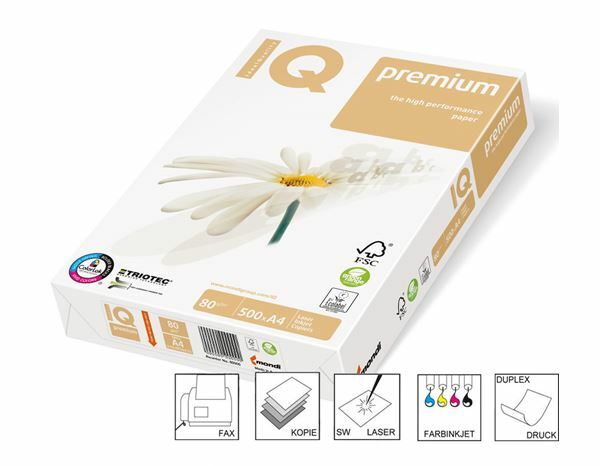 High white, wood-free, premium quality for highest demands of printer brilliance and clarity. * Highly stable for even printing front and back due to its 3-layered composition (1 inner and 2 outer layers). * Perfect for duplex printing on both sides. * Smooth, wood-free 80gsm paper. * 500 sheets per pack.